People who succeed as physician assistants enjoy direct patient contact, have a passion for medicine, and embrace challenges. Physician assistants practice medicine with physician supervision in many settings and in many medical and surgical disciplines. 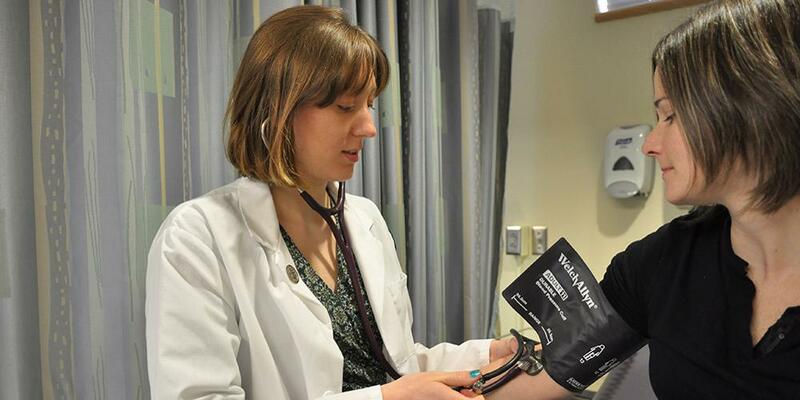 The Department of Physician Assistant Studies at Upstate Medical University was developed in 2009 as a result of the health care needs of Central New York. As reported by the Health Resources and Service Administration, fourteen of the seventeen counties encompassing the Central New York corridor from Canada to Pennsylvania are designated as health provider shortage areas. The need for physician assistant services in these communities is documented by these designated medically underserved communities. The mission of the Physician Assistant Program is to educate highly qualified physician assistants with patient centered values who practice medicine confidently and ethically by demonstrating academic excellence and clinical competence. Our emphasis is on serving the rural and medically underserved populations throughout New York State. A unique feature of our training program is the design of the clinical year of training; the remaining 12 months consist of 11 four-week clinical rotations where students practice medicine in a supervised medical setting with clinical preceptors whose primary medical or surgical practice is located within that community. Students live in an assigned medically underserved community in Upstate New York for 12 months, completing all clinical rotations in that designated region. In 2010, 2011 and 2015, the PA Program was awarded four Health Resources and Services Administration (HRSA) grants, totaling 4.5 million dollars. These grants have supported program expansion, student scholarships, high fidelity simulation equipment and enhancement of clinical training.